For many people who are passionate about avant-garde music, The Avant Garde Festival in Schiphorst, Germany, was “three days of utopia.” It was a chance to discover new and innovative music and meet with likeminded people. They enjoyed the opportunity to see some of the leading lights of the avant-garde scene, including Faust, Nurse With Wound, Peter Blegvad, Dagmar Krause, Ampersand, Bo Ningen, Damo Suzuki and Elena Wolay between 2009 and 2014. Sadly, by 2014 The Avant Garde Festival was struggling financially. The organisers had to face the harsh reality that The Avant Garde Festival couldn’t sustain itself financially. The losses were too high for The Avant Garde Festival to continue. An announcement was made that there would be no Avant Garde Festival on 2015. That looked like the end of the line for Europe’s premier avant-garde festival. Especially when The Avant Garde Festival didn’t return in 2016. After a two-year absence, it was unlikely that The Avant Garde Festival would return. This was hugely disappointing for artists and those that had regularly attended the previous The Avant Garde Festivals. Just when it looked like The Avant Garde Festival was gone for good, an announcement was made about its future. This was a call to arms, and asked artists, attendees and organisers to become for the future of The Avant Garde Festival. This was just like the happenings in the sixties, with everyone working together for the future of The Avant Garde Festival. Part of the call to arms was the launch of a crowdfunding campaign, which hoped to raise €35,000. The organisers made it clear that the more money that was raised, the more that could happen at the weekend of the summer solstice in 2017. There was two caveats though, with the crowdfunding campaign having to raise 30% of the €35,000 target to cover what was described as basic needs. After the 30% was raised, the organisers would improvise, and book more artists for The Avant Garde Festival in June 2017. However, the organisers warned that if only 80% of €35,000 was raised, the price of food and drinks would’ve to be raised. It seemed that organisers were determined to live within their means and would only put on The Avant Garde Festival they could afford. The crowdfunding proved successful and the press were told that Avant Garde was happening. This was a relief for everyone who had worked towards The Avant Garde Festival taking place during the solstice weekend at Schiphorst, Germany. Between the ‘23rd’ and ‘25th’ June 2017 The Avant Garde Festival would make a welcome comeback. Curating The Avant Garde Festival in 2017 was Jeanne-Marie Varain who curated The Avant Garde Festival in 2014 and has returned to curate the event’s welcome comeback. They’ve had put together an impressive line up that included Asmus Tietchens, Friederike Jäger, Faust, Pas Musique, Elena Wolay and Basswald. This was one of the strongest lineup The Avant Garde Festival had ever had. Those who attended The Avant Garde Festival were in for a weekend to cherish. When festival goers arrived at the site of The Avant Garde Festival in Schiphorst, Germany, they discovered that a new CD Avant Garde Is Happening, had just been released by Dirter Promotions to celebrate and coincide the re-emergence of the festival that promised “three days of utopia.” Avant Garde Is Happening whose full title is Avant Garde Is Happening Because Collaborations Are Happening As Long As The Desire To Interact Fuels Our Hearts We Will Find Swarms That Build Moments And Space To Shelter The Worlds That We Are is a limited edition CD. Only 500 CDs were pressed, and those that didn’t sell at The Avant Garde Festival over the solstice weekend have just gone on sale. It’s a case of get them while you can, and discover some of the leading lights of the avant-garde scene on Avant Garde Is Happening. 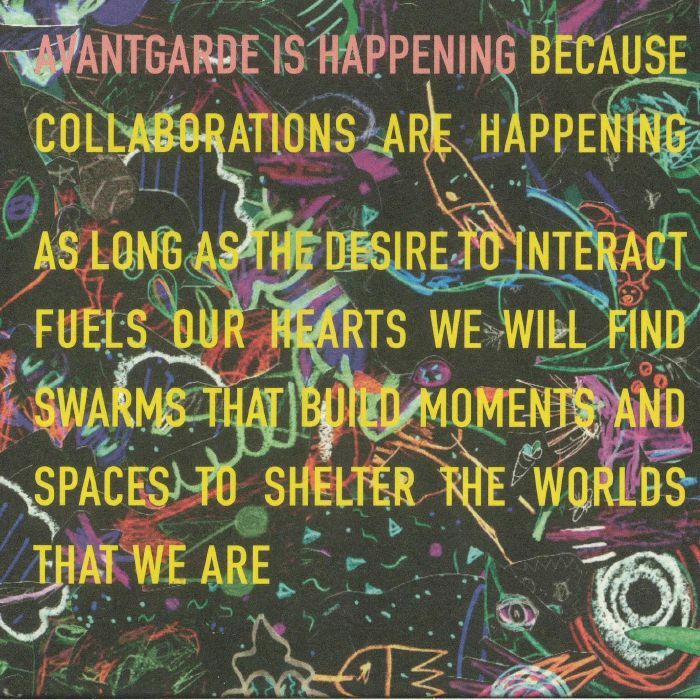 There’s a total of sixteen tracks on Avant Garde Is Happening, including contributions from Qluster, Asmus Tietchens, V!V!V!, Giardini, Ronny Wærnes, Nurse With Wound, Octopus Ride, Dieter Bornzero Bornschlegel, Faust and Friederike Jäger. This is an impressive array of talent is the perfect primer to the avant-garde scene. Opening Avant Garde Is Happening is track from Qluster who were founded by Krautrock pioneer Hans-Joachim Roedelius and follow in the footsteps of his Kluster and Cluster. Both groups were pioneer and released ambitious and groundbreaking music. Qluster is no different, and have already released six albums between 2011 and 2016. However, Jaki3 doesn’t feature on any of Qluster’s previous albums. It has a dark, dramatic and ominous cinematic sound and is a tantalising taste of the type of music Qluster have been making since 2011. Soltau Mitte is Asmus Tietchens’ contribution to Avant Garde Is Happening. Just like Hans-Joachim Roedelius, Asmus Tietchens is another of German music’s pioneers, and throughout his long and illustrious career he has pursued what he describes as “absolute music.” To create this “absolute music,” has adopted an almost mathematical process of rigid formal exercises. 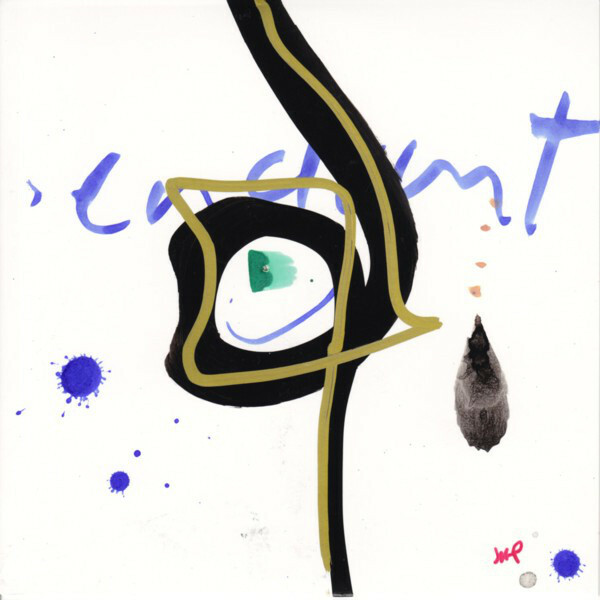 Asmus Tietchens like the late Holger Czukay and Irmin Schmidt of Can was influenced by Karlheinz Stockhausen’s early electronic music and Romanian philosopher Emil Cioran. Soltau Mitte features Asmus Tietchens at his most inventive as he crafts a minimalist and spacious soundscape that combines elements of abstract, avant-garde and Musique Concrète. V! Very different from the two previous tracks is K from V!V!V!. It’s a mesmeric fusion of Krautrock, electronica and rock. Drums provide the Krautrock influence while guitars help power the urgent arrangement along. V!V!V! sound as if they’re a special band and will be worth catching live. Whereas the previous track featured a tight band, Haricot Massacre play with a looseness and defiance as they improvise on Section Sign. There’s even an homage to the spirit of ’76 courtesy of the vocal on a track that shows another side to the type of music one could expect to hear at The Avant Garde Festival. In June 2017, Giardini self-released their eponymous debut album. It was a limited edition of 100 and featured Der Pfad. It’s a moody, cinematic soundscape that seamlessly fuses electronic and experimental music. The result is a track that sounds as if it belongs on the soundtrack to a short film. Ronny Waernes is a noise avant-garde musician from Bodø, Norway. He’s also one of the founders of the Nødutgang avant-garde festival and runs Go To Gate Records. 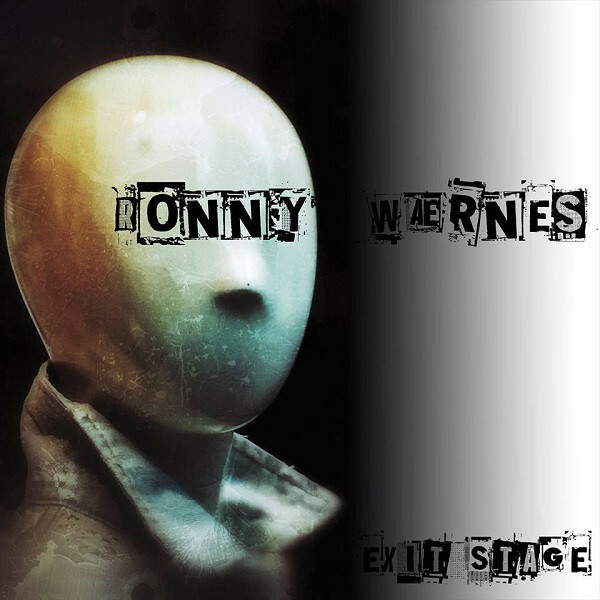 They released Ronny Waernes’ most recent album Exit Stage in June 2017. 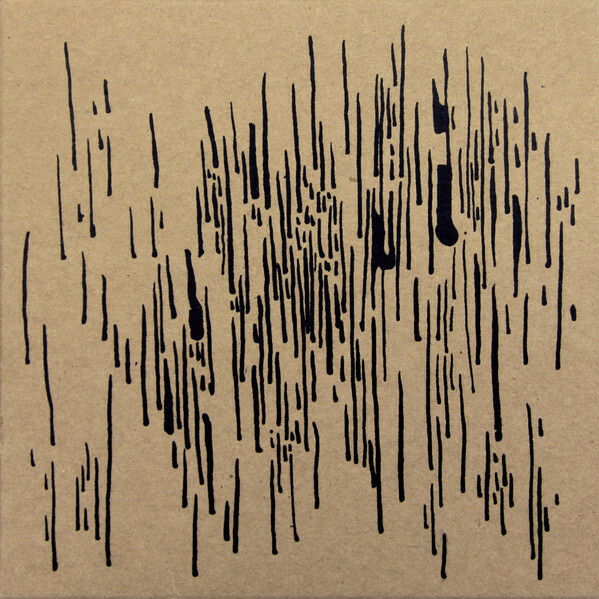 It features Ronny Waernes’ inimitable and inventive trademark noise avant-garde sound. 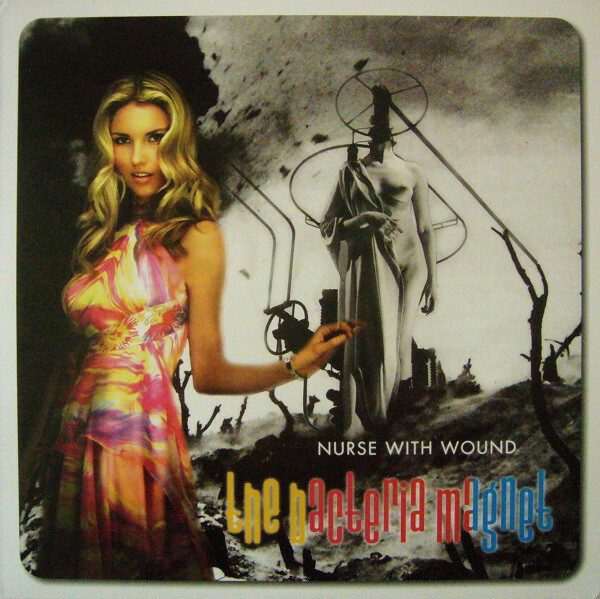 Nurse With Wound were founded in 1978 as NWW, a British experimental music project by Steven Stapleton. Since then, Nurse With Wound have been a prolific and groundbreaking project. 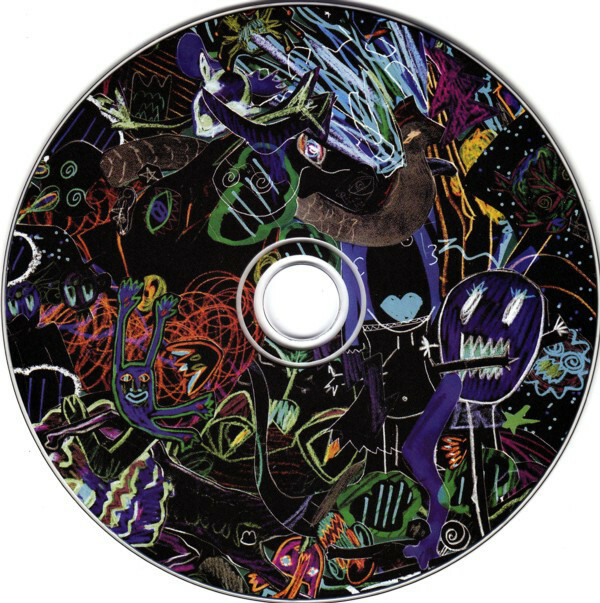 They released The Bacteria Magnet EP in 2008, which featured The Bottom Feeder. It was later remixed and The Joe Meek Memorial Barbeque Mix of The Bottom Feeder features on Avant Garde Is Happening. It’s best described as otherworldly, futuristic and strangely melodic genre-melting remix whose charms are hard to resist. 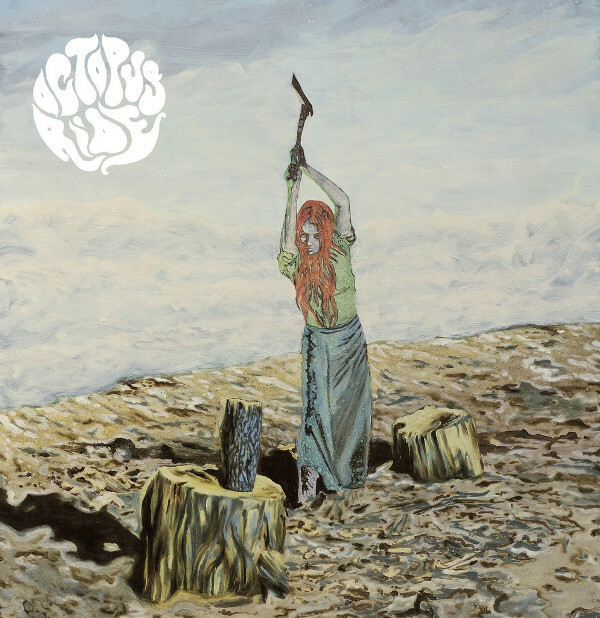 Four years ago, in 2013, Octopus Ride released their eponymous debut album Things Will Never Be The Same on Rev/Vega Records. It was well received by critics and their sophomore album was eagerly awaited. Things Will Never Be The Same is a reminder of what Octopus Ride is capable of. It’s a fist-pumping fusion of psychedelic rock, space rock and experimental music from the Swedish rockers. It’s all change on Exo/Endo’s The Working Hour, which is a much more understated, but atmospheric and lysergic soundscape. Again it has a cinematic sound, and showcases two talented and imaginative musicians. German guitarist and singer Dieter Bornzero Bornschlegel has been around since the seventies, and has been a member of various bands including Atlantis, Dein Schatten, The Electric Family, Tja and on two occasions, one of Germany’s leading bands Guru Guru. However, since 1996, Dieter Bornzero Bornschlegel has concentrated on his solo career using a variety of aliases. A reminder of Dieter Bornzero Bornschlegel’s inventive approach to music is Back 2 Paradise, where cascading trance-inspired synths accompany his worldweary and dramatic vocal which later becomes a soliloquy on this powerful and poignant track. Raid fire drums open Psykisk Tortur’s Malstroem and assail the listener. Soon, a myriad of beeps, squeal, samples and found sounds are unleashed and play their part in an urgent, inventive and imaginative soundscape. Blood Oath’s Darkness Devours The Night is another ambitious genre-melting track. It finds Blood Oath fusing elements of free jazz, avant-garde and industrial as they play with speed, power, urgency and enthusiasm. Occasionally the track becomes stop-start as if Blood Oath are throw curveballs in an attempt to surprise the unsuspecting listener as they continue to innovate. For over forty years, Faust have been one of the leading lights of German music. In 2009, Faust self released Rehearsals Cloudshill Studios as a limited edition CDr. 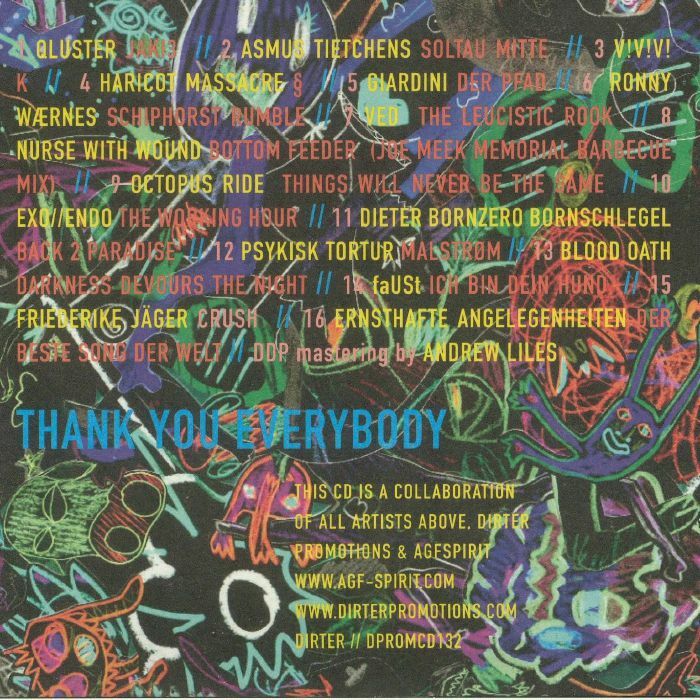 It featured Ich Bin Dein Hund (I Am Your Dog) where the veteran musical pioneers combined avant-garde and experimental with a vocal that sounds as if it was inspired by German cabaret singers of yesteryear. Faust combine these unlikely musical genres and influences to create an intriguing track. Friederike Jager’s Crush features a myriad of beeps, squeaks and buzzes which are combined with an ad-libbed vocal. Together, they create an inventive and melodic song that will fill the dance-floor at indie discos. Closing Avant Garde Is Happening is Ernsthafte Angelegenheiten’s which Der Beste Song Der Welt draws inspiration from the post punk and experimental music. It’s a catchy and memorable combination that ensures the compilation ends on a high. For anyone interested in avant-garde or experimental music, then Avant Garde Is Happening is well worth seeking out. However, they’ll need to be quick as copies of Avant Garde Is Happening which was released by Dirter Promotions are limited. Those that are able to find a copy of Avant Garde Is Happening will discover a compilation that combines familiar faces like Qluster, Asmus Tietchens, Faust and Nurse With Wound with new names Octopus Ride and rising stars including Ronny Waernes. Together, they play their part in what’s the perfect primer to modern European avant-garde music. Avant Garde Is Happening os the perfect way for newcomers to the genre to dip their toe into the genre and set them on a fascinating voyage of discovery. ← MERIDIAN BROTHERS-DONDE ESTAS MARIA?